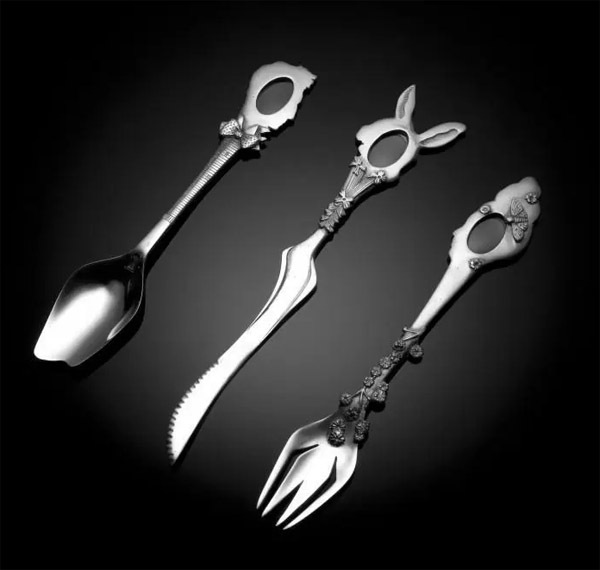 Tina Tsang from England has hand crafted these pewter cutlery delights based on characters from Alice in Wonderland. Each piece has a magnifying glass inserted into the head of the character to allow you to see your food more carefully or read a menu or any fine print. This definitely would be big in Japan. Hand wash of course. Rather expensive at £42.50 per piece of flatware. But it’s more than just cutlery, it’s art!